Major Phil Layton, BA MTh, is a Salvation Army officer and Bible scholar. He has served in corps appointments in the UK as well as a five-year dual appointment as New Testament tutor at William Booth College, London. While at Hythe corps in the UK, Phil first developed the Bible Reading Challenge format. The author of three books - The Sacraments and the Bible (2007), The Rapture (2009) and most recently Bible-believing Christians - see below. Phil is a corresponding member of The Salvation Army's International Doctrine Council and a member of its Moral and Social Issues Council in the UK. 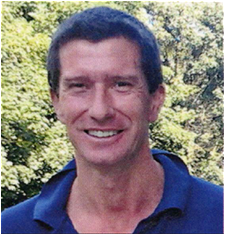 Married with two children, he enjoys being with his family, playing football, mountain climbing and swimming. Phil is currently on secondment as a Royal Air Force chaplain. Phil's third book is described by General André Cox as 'a timely reminder of the importance of the Bible for all Christians'. Based on exhaustive research, the text provides a useful and informative study of important doctrinal issues having to do with the authority and inerrancy of the Bible. 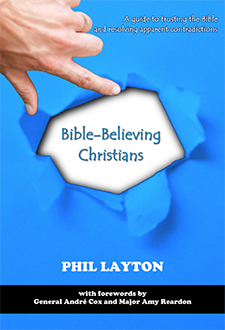 A fuller review of Bible-Believing Christians from the USA Eastern Territory can be downloaded here.